A striking display of individual gift cakes presented with a 6" round cake suitable for cutting. 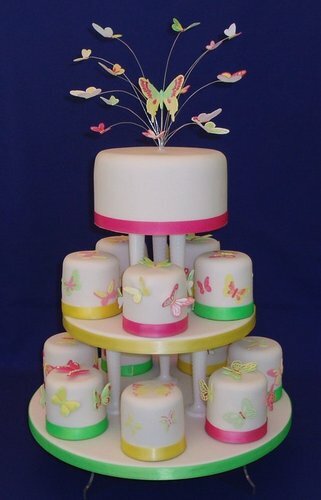 The gift cakes are decorated with delicate butterflies in vibrant shades of pink, yellow and green. An arrangement of wired butterflies take flight from the top tier.